The Okavango Copper Project (OCP) consists of the 100% owned KML prospecting Licenses PL148/2017 and PL149/2017 and the Triprop JV prospecting licenses PL41/2012, PL42/2012 and PL43/2012. The OCP is located in the central portion of the Kalahari Copper Belt and is immediately along strike to the east of the published mineralised zones and code compliant resources of Cupric Canyon Capital (Zone 5 Deposit) and MOD Resources (T3 Project). Comparison between recently collected AEM data and historical SPECTREM AEM. Key prospective contacts related to less resistive units in the lower D’Kar formation highlighted. 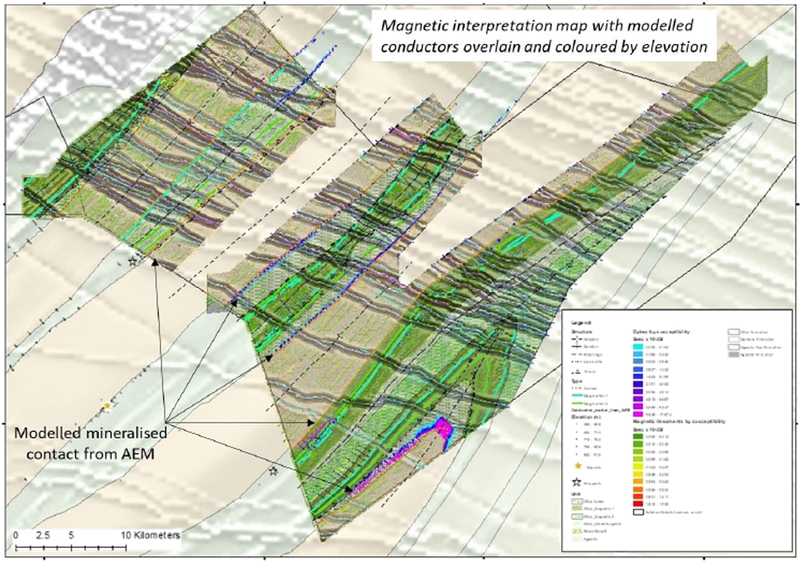 Recently completed heliborne magnetic and electromagnetic surveys have mapped out marker conductors above the prospective mineralised contact as well as clearly defined fold-hinge targets. 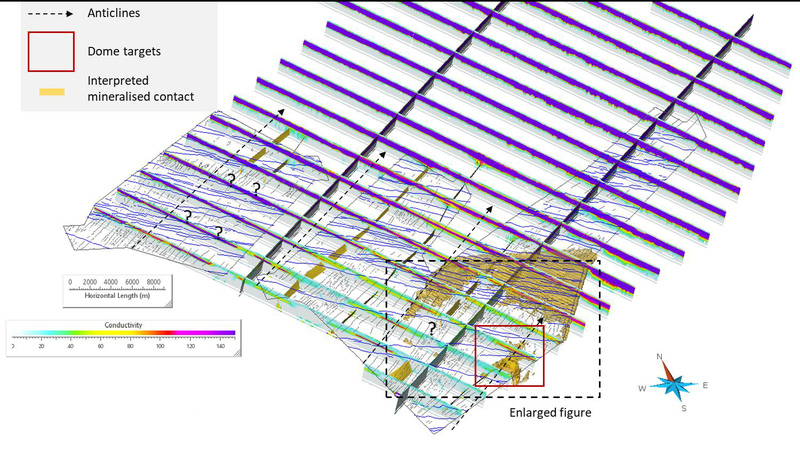 Completed regional airborne electromagnetic in combination with high resolution magnetic surveys provide valuable information on the underlying geology, location of prospective mineralised target, structures and potential trap-sites for high grade deposits. 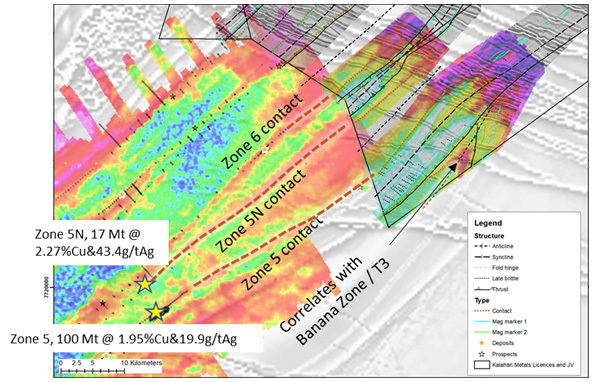 dykes, and interpreted mineralised contact highlighted. 5x vertical exaggeration, looking N.
KML is a UK registered, base and precious metal explorer. The company focus is within the Kalahari Copper Belt where it has recently been awarded prospecting licenses and signed an earn-in agreement, securing over 8600 km2 of exploration acreage in the Botswana portion of the KCB.